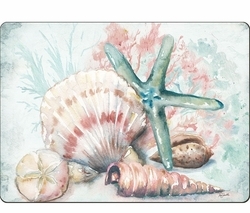 The Watercolor Shells Coastal Placemat Set brings the ocean's brilliance straight to your tablescape. 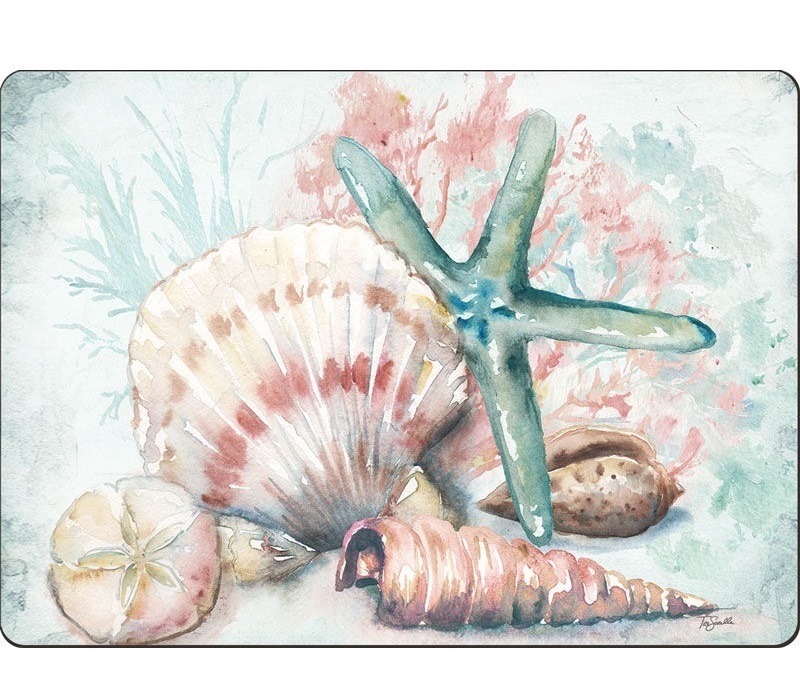 From Cala Home(TM) and designed by Tre Sorelle Studios, each premium hardboard placemat features lovely sea treasures in watercolor coral, aqua, white, and brown hues. Crafted in the USA with a layered construction, the table mats are coated with three layers of protective lacquer and finished with a soft cork backing to protect your tabletop from staining and scratching.